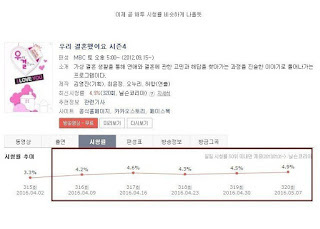 Eric Nam & Solar have been accredited the rising views of "We Got Married". Rating graphics shows an incline in views with about 1% (0.9%) raise for the 316th episode. A high was hit with 4.9% within a six episode range. The new couples who joined "We Got Married 4" are Jo Se Ho & FIESTAR's Caolu, Eric Nam & MAMAMOO's Solar, and Madtown's Jota & Kim Jin Kyung. The couples joined on episode 311, 316 and 321 respectively. 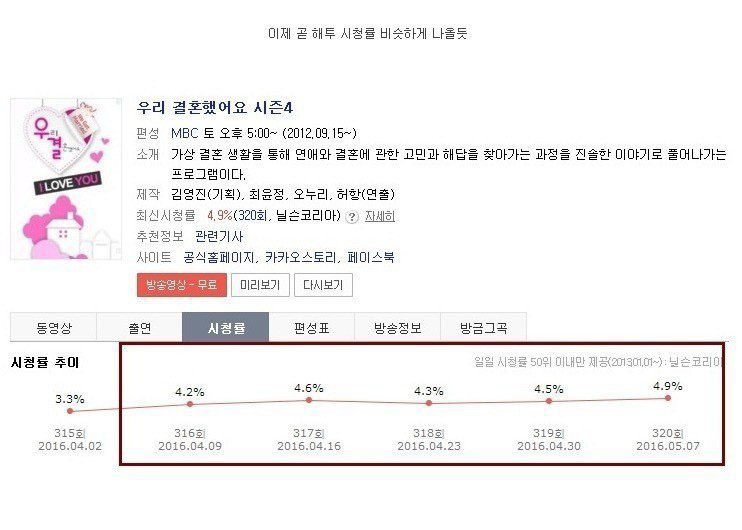 Netizens accredit the rise in the show's view to Eric Nam & Solar's participation in the show, due to the two's public image. Viewers have also been happy to see the interaction between the virtual couple on the show.